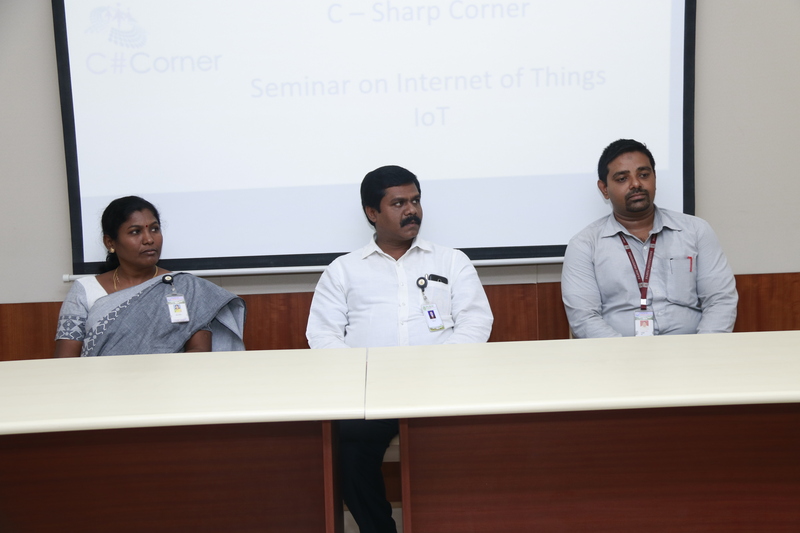 Then, the sessions were shared by 4 students, namely Mr.Hariharan, A. Munish, V. Ravishankar, and J. Ajithkumar from Paavai College of Technology. 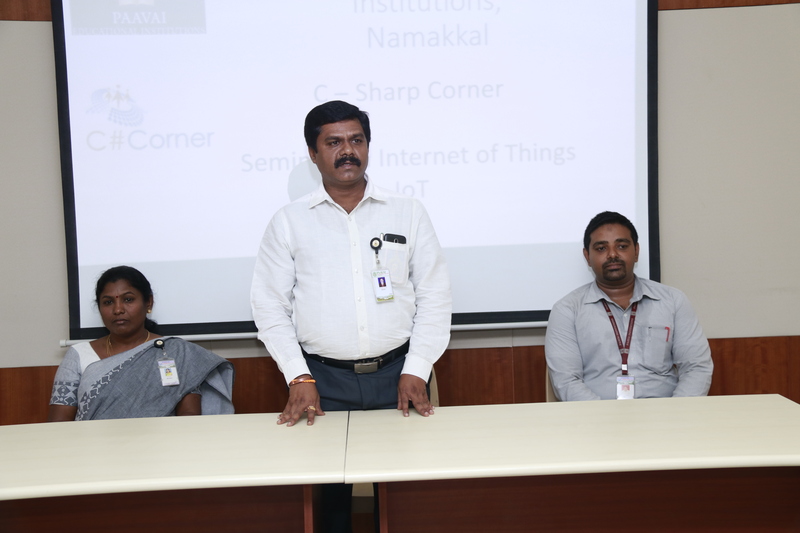 Mr. Hariharan, III CSE, focused on the services, applications and products of IoT. 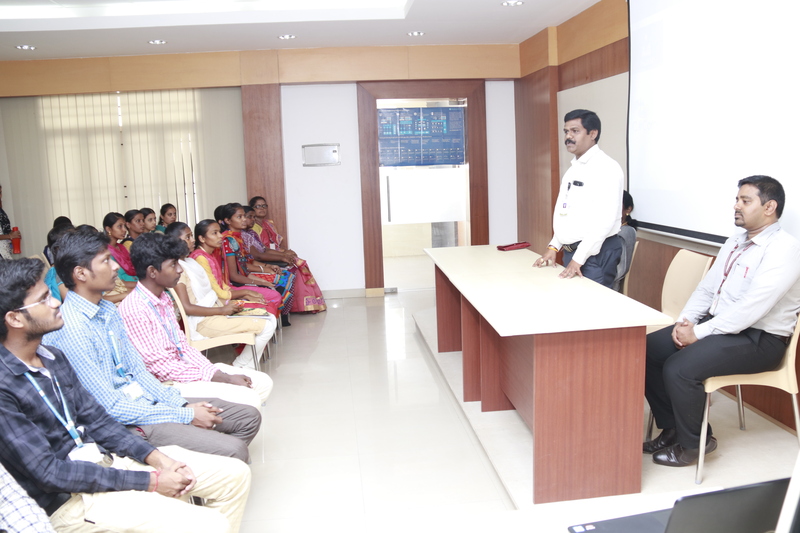 He made the students to understand the significance of IoT by showing video presentation in “Human Life with IoT”. Secondly, Mr. A. Munish, III-ECE, discussed on the topic “Satellite and IoT”, in which,he elaborated the data handling and its process. Then, Mr.J. Ajithkumar, III-CSE, explained python programming. He cited many coding in python program and made it run on the computer. And finally, Mr. V. Ravishankar, III-CSE, elaborated the topic “IoT, hacking system and its security feature”. It was a wonderful seminar and the students gather information about the latest trend in IoT. Around 50 students participated in the seminar. The faculty members and Dean Academics graced the occasion. With this the programme came to an end.